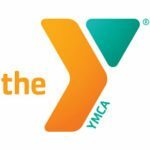 The HGN YMCA is seeking Child Watch Staff who are responsible for assuring each child’s safety and all other aspects of their experience while in the YMCA’s Child Watch. The ideal candidate must be dependable, responsible, and mature. Must enjoy working and interacting with people of all types and ages, and must model the important core values of caring, honesty, respect, and responsibility. A minimum of 6 months experience in the area of supervision and care of children between the ages of 6 months and 11 years is required. Current CPR certification for infant/children and adults is also required.